We can help you create your own unique look through the creative use of wedding accessories and even help you create the illusion of having different dresses for the daytime and evening! Our range goes from a simple pearl hairpin or garter through to magnificent diamante belts, luxurious feather wraps, lace jackets, veils and, of course, some shoes to die for! 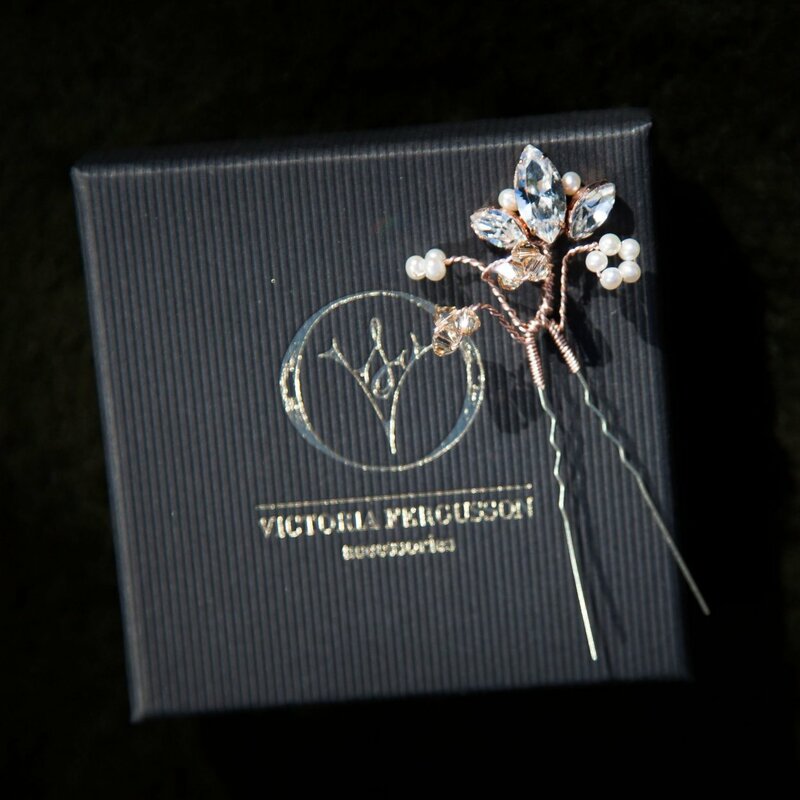 Since graduating from the London College of Fashion, Victoria Fergusson, has followed her passion and obsession for detail. Working from her Hampshire studio, she crafts exquisite creations from silver and gold adorned with gemstones, Svarowski crystals and freshwater pearls. With a range of earrings, necklaces and hair accessories, if you want something from your wedding day that you can wear again and again – look no further. If you are looking for something completely bespoke, we can help with that too! 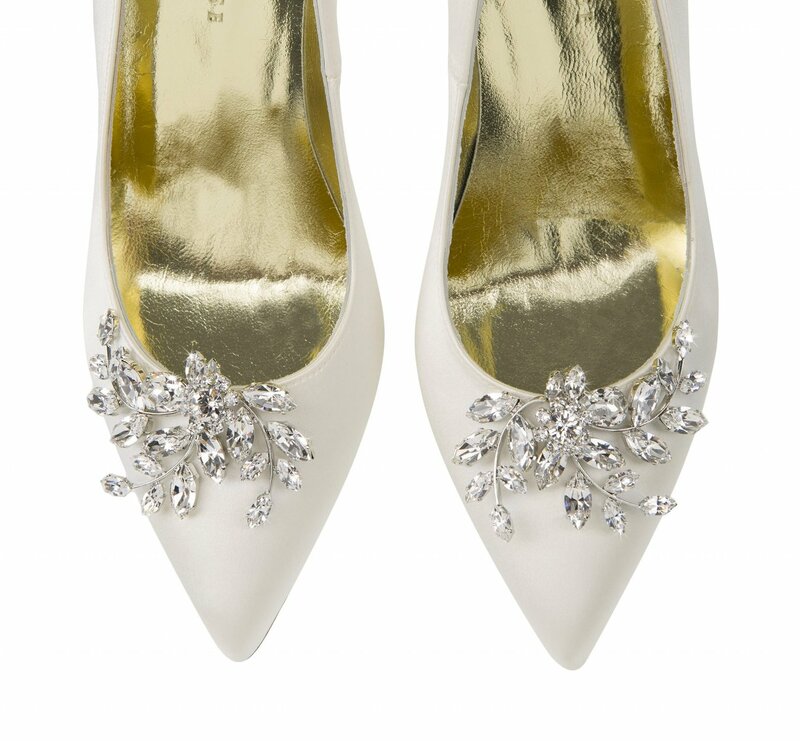 These are simply the most beautiful shoes – you just have to see them! With Svarowski crystal and pearl shoe clips available, there is huge flexibility in your look.